False Bay Firearm Training Academy This time we have Sniper rifles courtesy of Truvelo available to shoot as well!- sniper rifles in .50cal & .308 by Truvelo Arms At the end of the day, the person with the best sniper rifle .308 and .50 cal groupings will win a T-shirt, bottle opener and sundries. Question: What is the extra cost per experience? Answer: Cost varies between each experience. · Handgun experience in 9mm or 38Special caliber (pistol or revolver) will cost R15 for the experience of shooting 5 rounds; Larger calibers like .45ACP or 44Magnum R20 for 5. 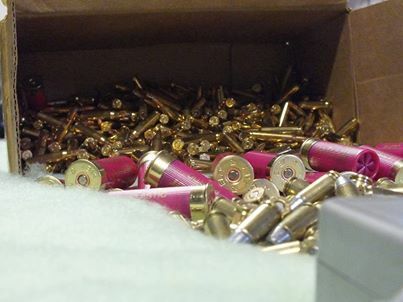 · For .22LR caliber, Pistol or Rifle R20 for 10. · Rifle calibers, AK74, AR15, LM – experience shooting 5 rounds for R40. Pistol Caliber Carbines (9mm caliber etc.) R40 for 10. · Tactical shotgun R30 for 5. · Shotgun & clays: a round of 25 clays R150. § One (1) shot 12,7×99 (.50 cal anti-material) will cost R 180.00 each. § Three (3) shot grouping 12.7mm x 99mm (.50 cal) will cost R 450.00 per grouping. § Three (3) shot grouping .308 (ant-personnel) will cost R 50.00 per grouping. These costs cover gun use and brief tuition on how to use the firearm.